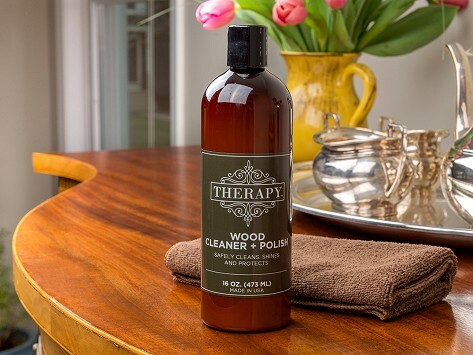 This wood cleaner takes a plant- and bio-based approach to cleaning up. The non-toxic, eco-friendly formula is made with coconut oil and is safe for things like wood furniture, cabinets, and even antiques. The cleaner removes grime and restores shine. Essential oils provide a light, subtle fragrance. Made in the USA. Dimensions: 2.25" x 2.25" x 8"
I don't usually clean my cupboards with a polish, but this has worked out great. Takes that dull finish off furniture & leaves a nice sheen. Like that it is Eco-friendly. I told my sister about this product & she is very interested. So many products have toxic ingredients in them & I will not use them. Finally a product that works!